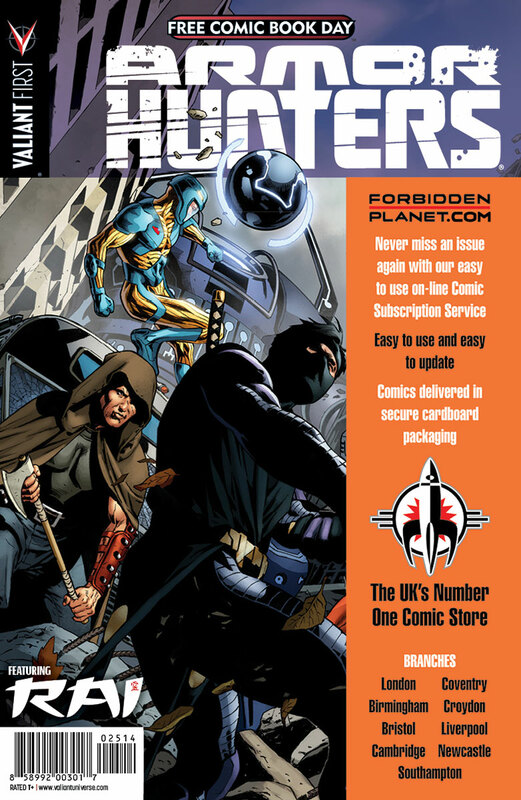 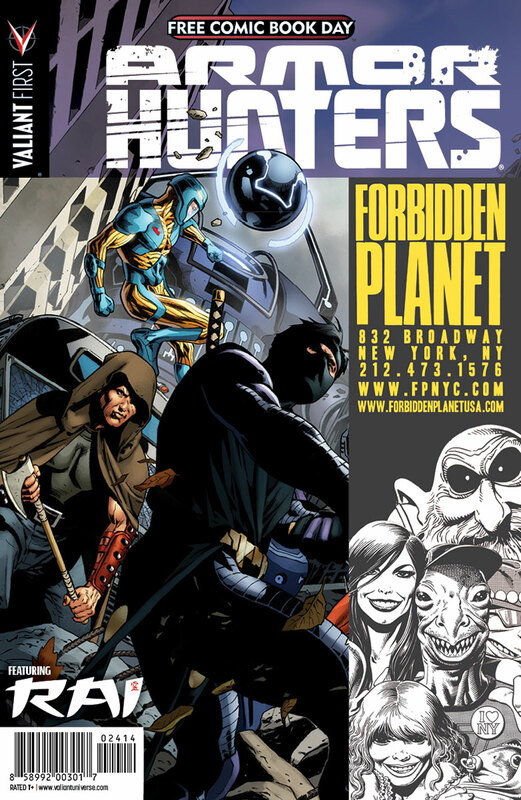 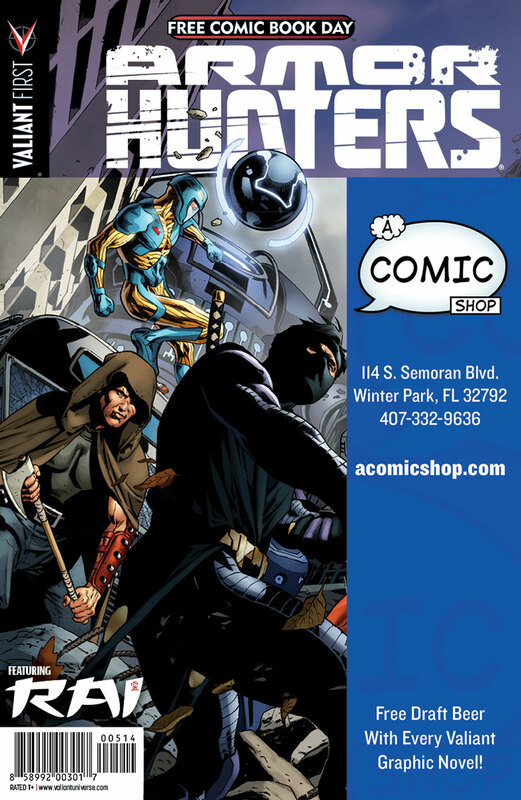 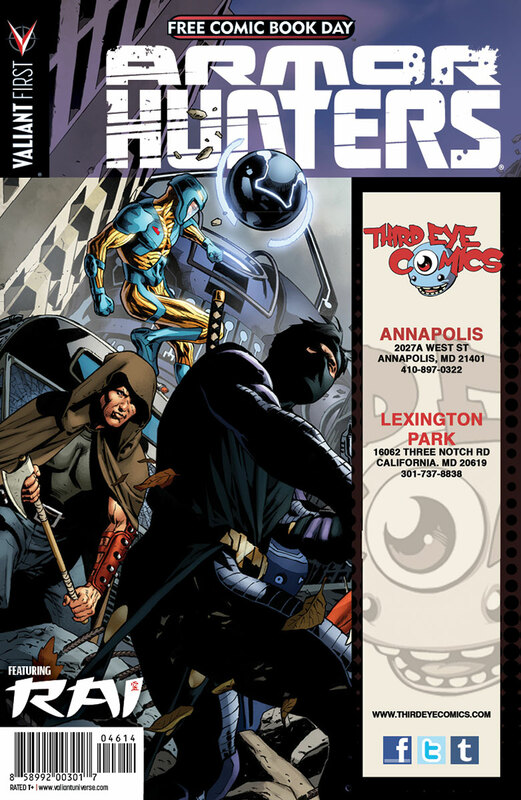 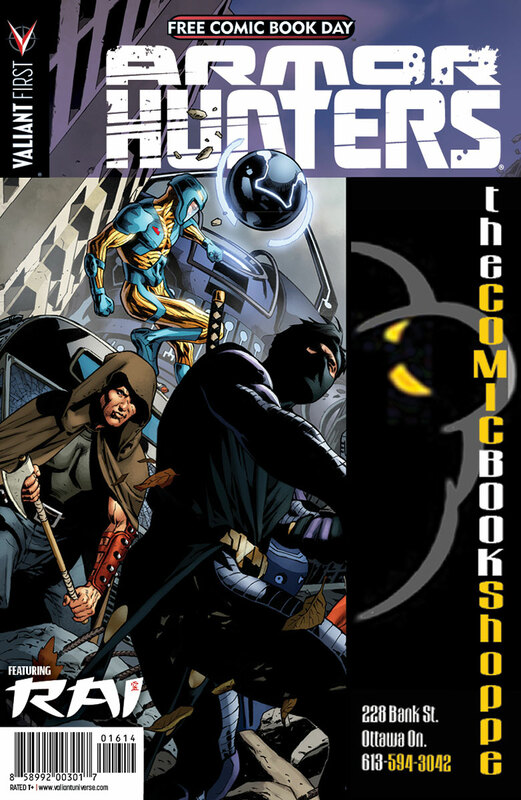 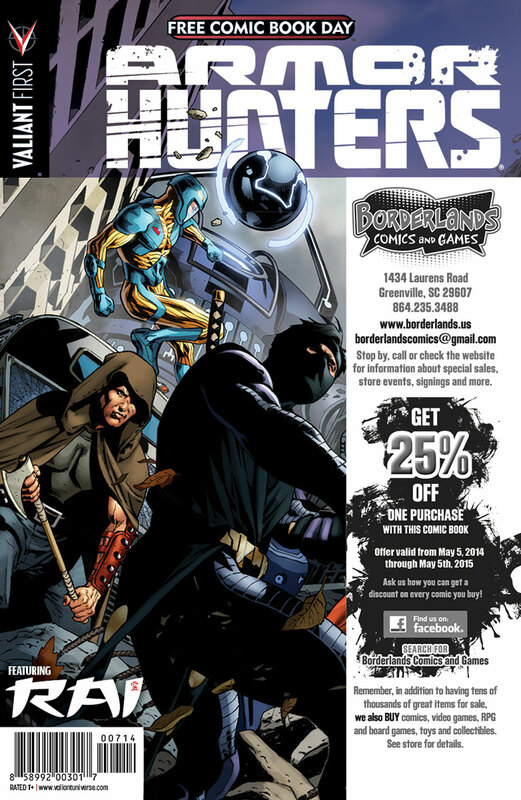 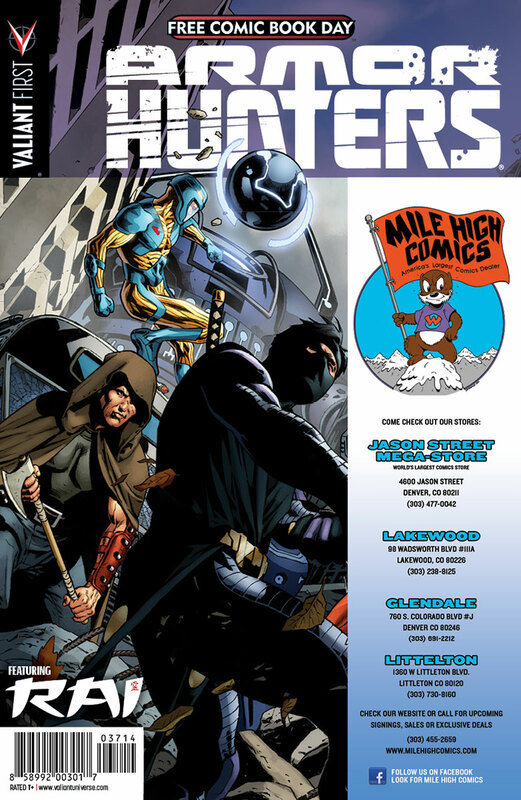 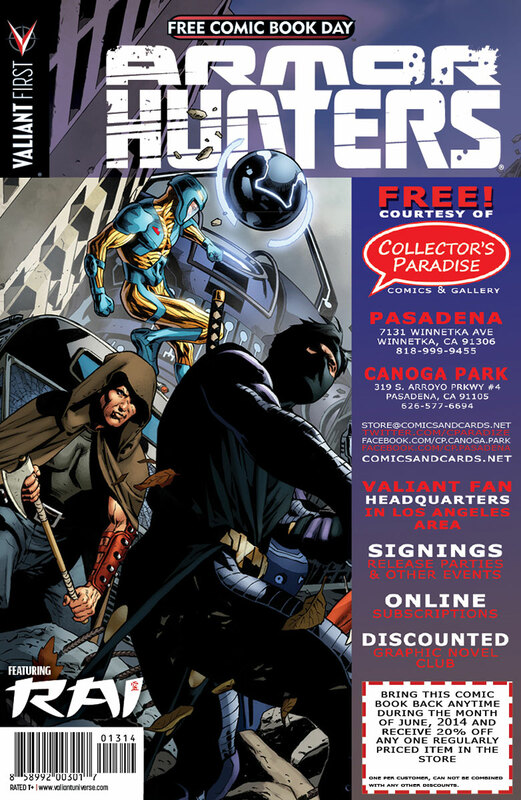 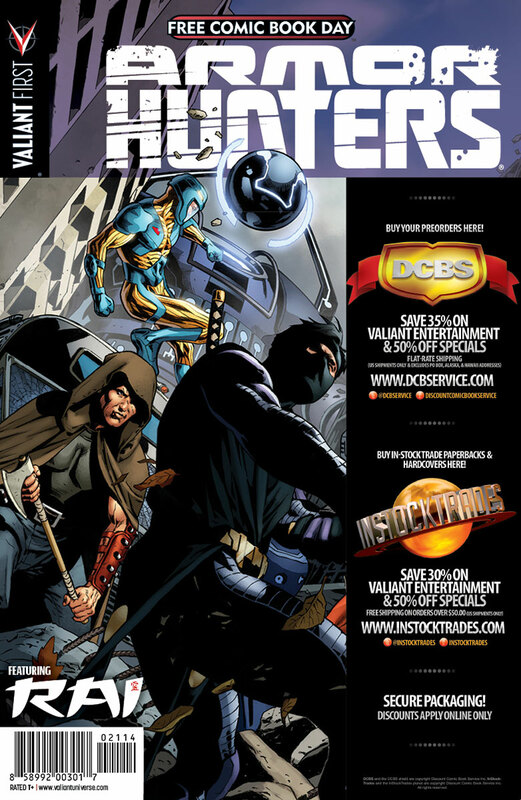 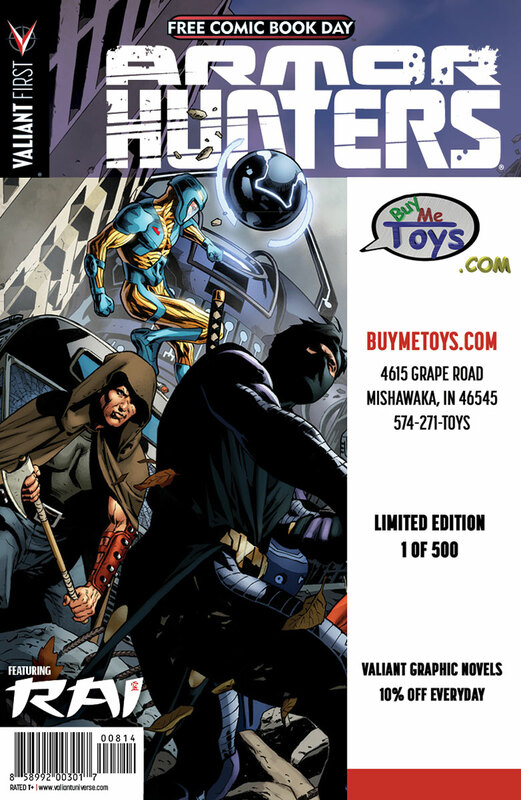 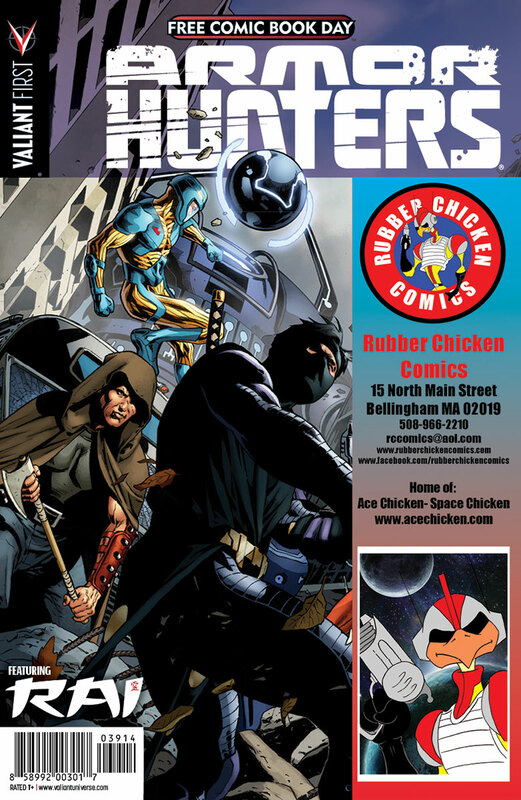 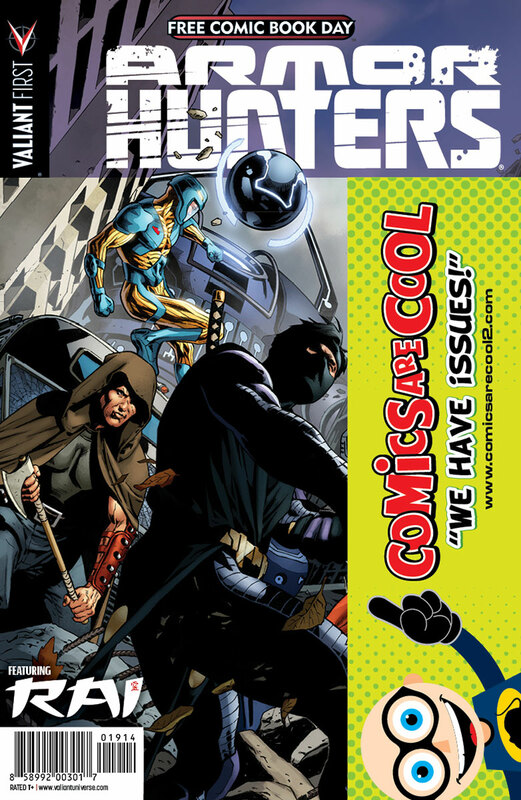 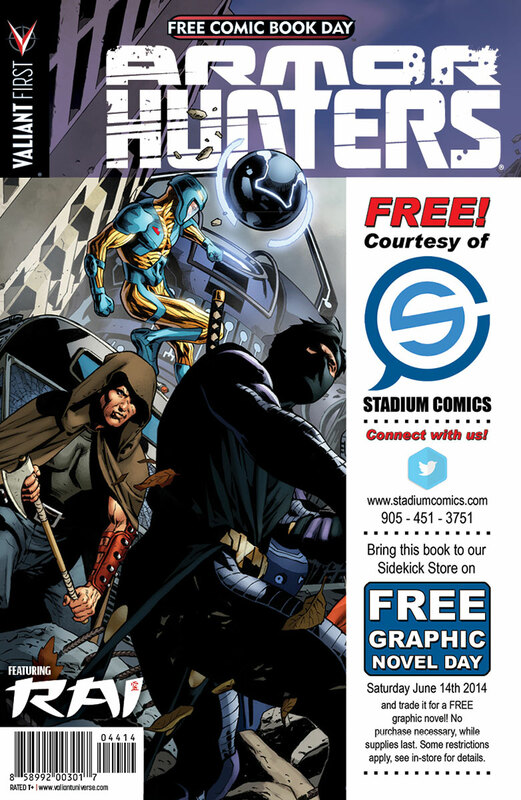 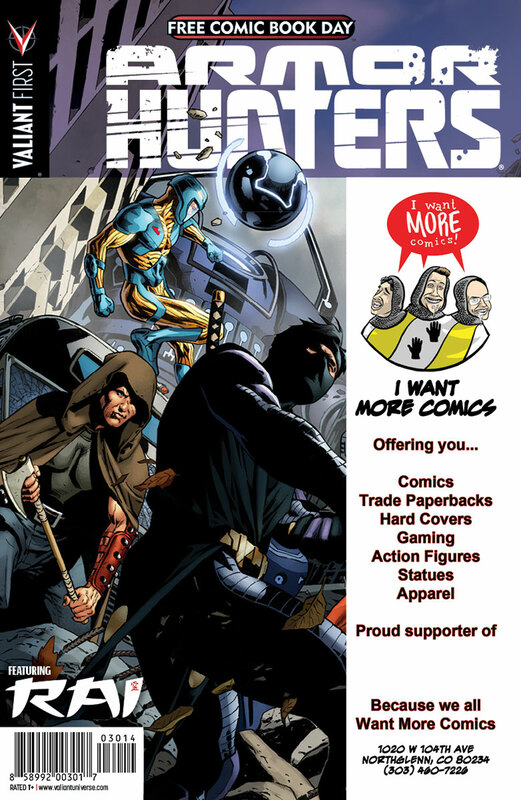 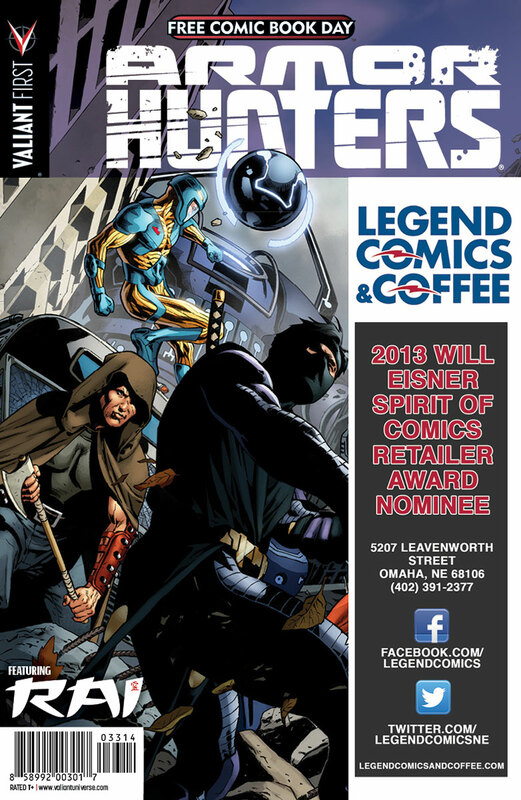 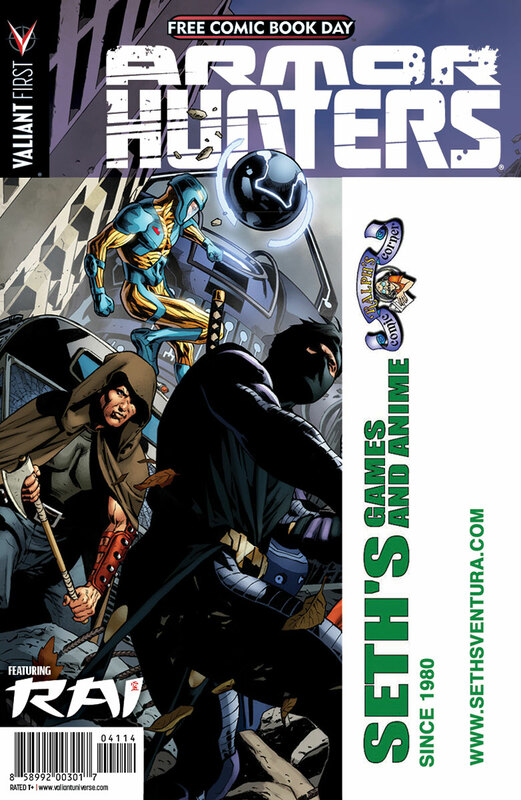 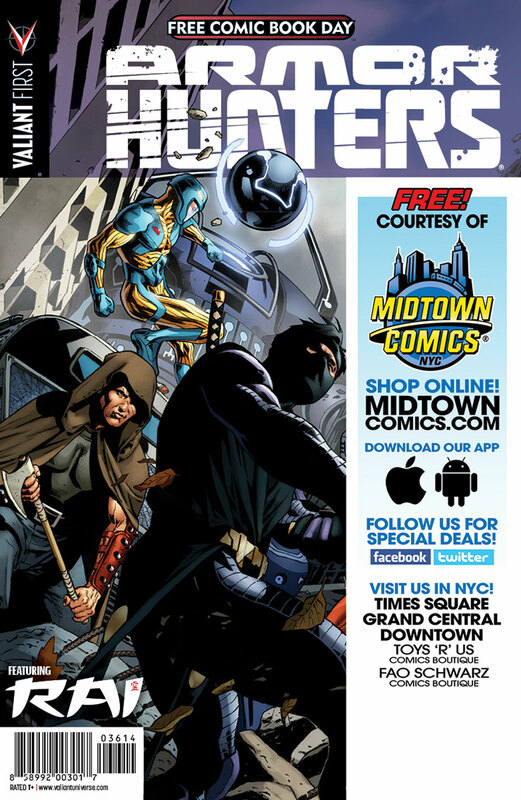 VALIANT Unveils 45 Retailer Customized FCBD 2014 ARMOR HUNTERS SPECIAL Covers for FREE COMIC BOOK DAY! 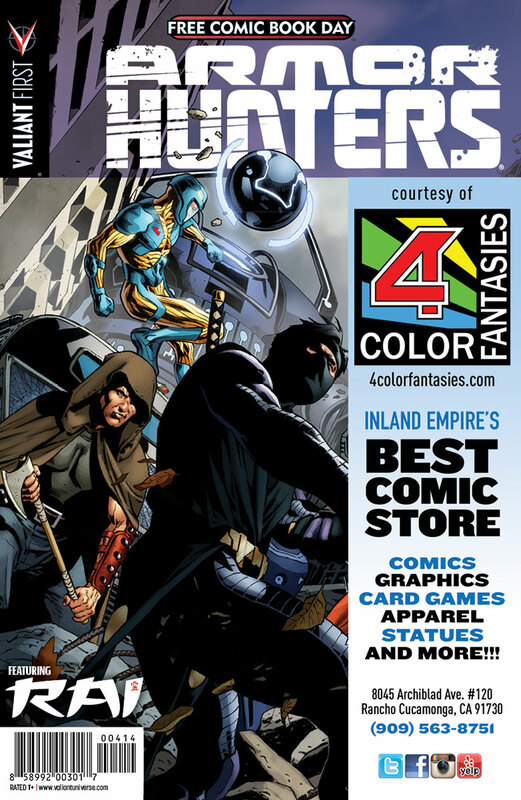 With Free Comic Book Day 2014 just two weeks away, Valiant is proud to announce that 45 retailers nationwide have signed on to produce exclusive promotional covers for Valiant’s biggest FCBD release ever – the FCBD 2014 ARMOR HUNTERS SPECIAL! 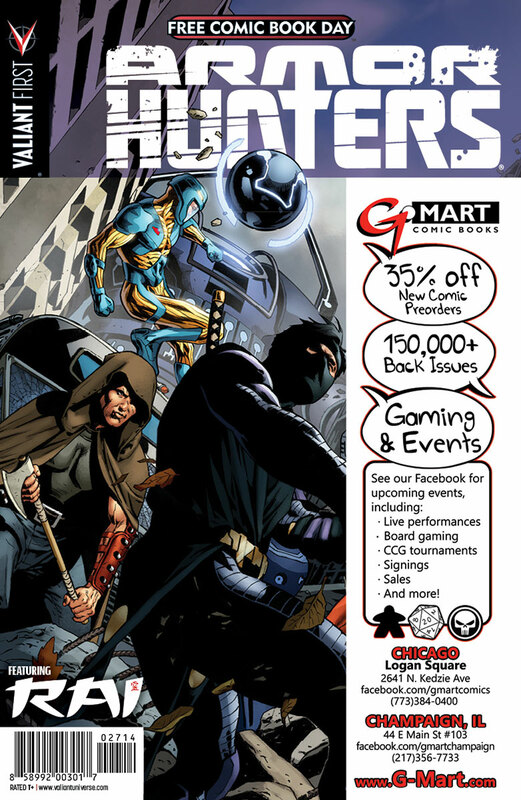 Available in participating stores everywhere on May 3rd, 2014, Valiant’s FCBD 2014 ARMOR HUNTERS SPECIAL is the perfect place to jump on the board the crossover event of the summer with a special, advance look inside June’s ARMOR HUNTERS #1 (of 4) by superstar creators Robert Venditti (X-O Manowar, Green Lantern) and Doug Braithwaite (Unity, Justice). Plus: look for artwork and interviews from X-O MANOWAR, RAI, THE DELINQUENTS, THE DEATH-DEFYING DR. MIRAGE, and much more! 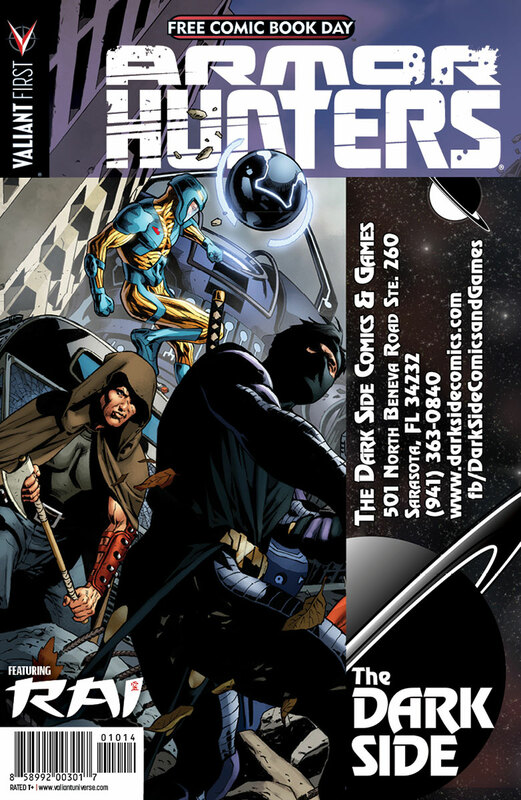 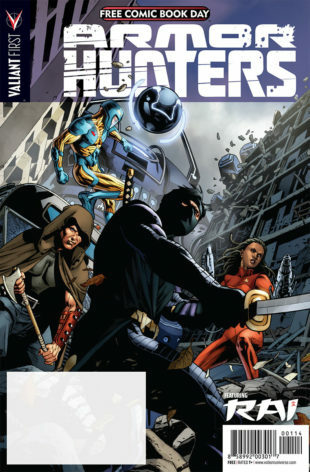 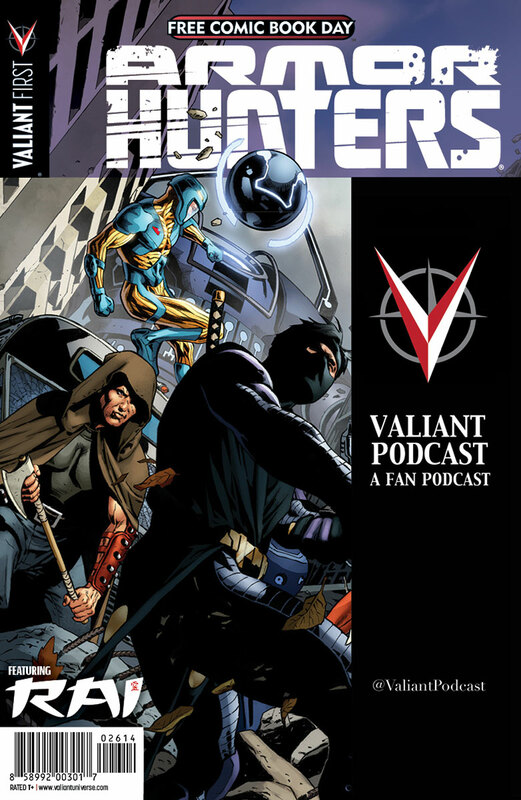 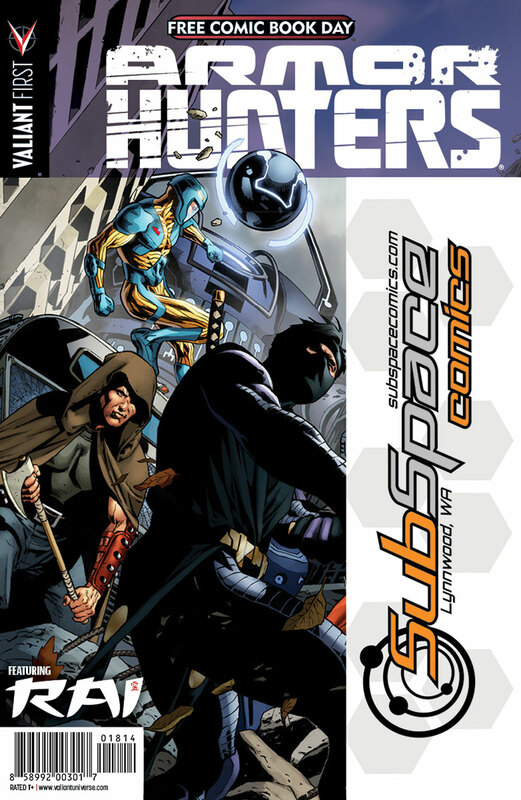 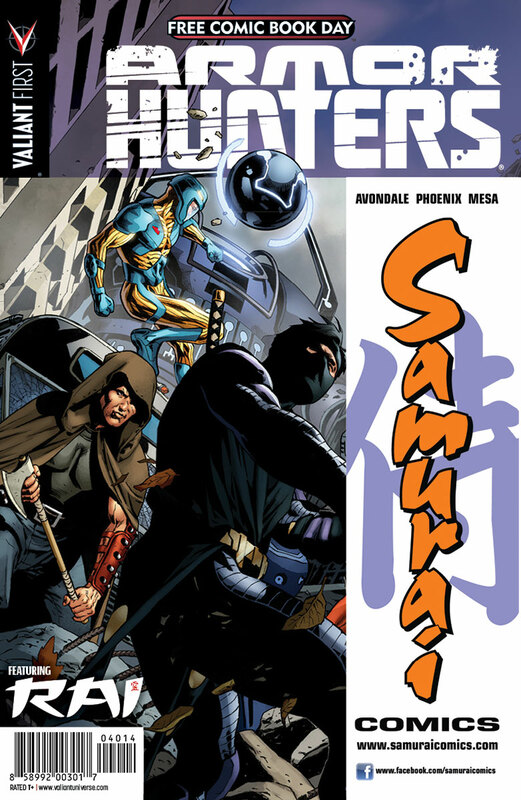 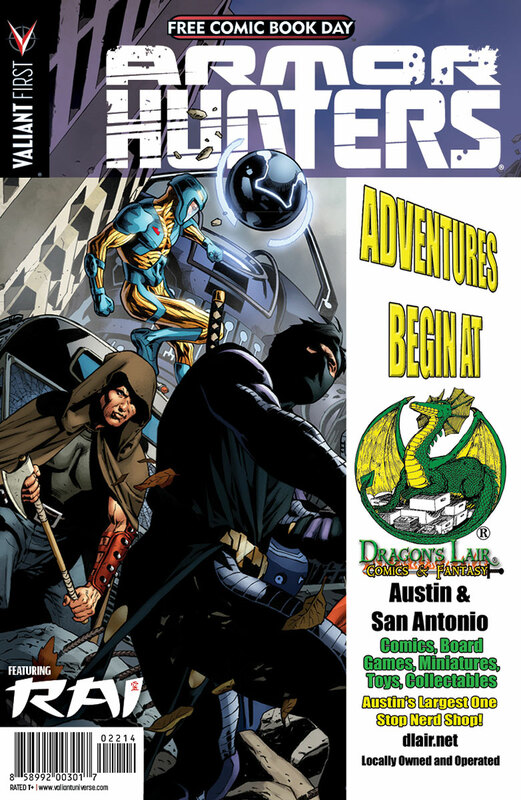 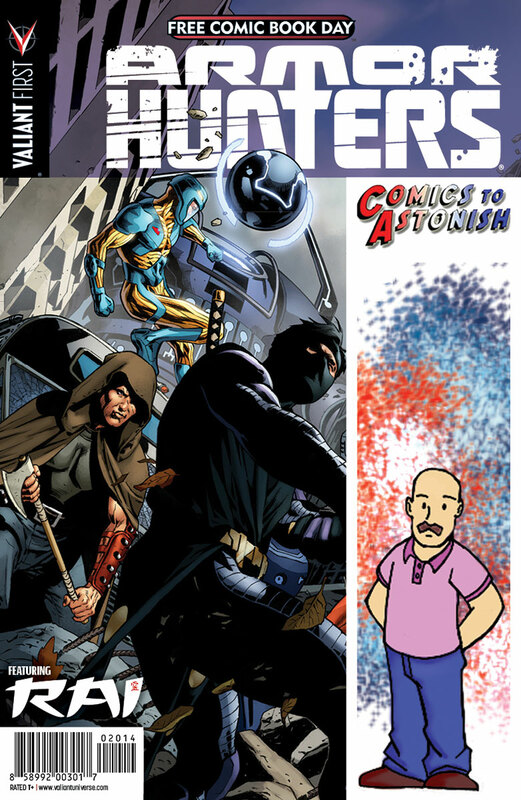 Learn everything you need about ARMOR HUNTERS and the rest of the VALIANT FIRST publishing initiative right here on Free Comic Book Day inside the FCBD 2014 ARMOR HUNTERS SPECIAL! Also arriving on Free Comic Book Day, don’t miss the the FCBD 2014 VALIANT UNIVERSE HANDBOOK – a first-of-its-kind handbook release detailing the untold origins and secrets of Valiant’s heroes and villains, all in one place! 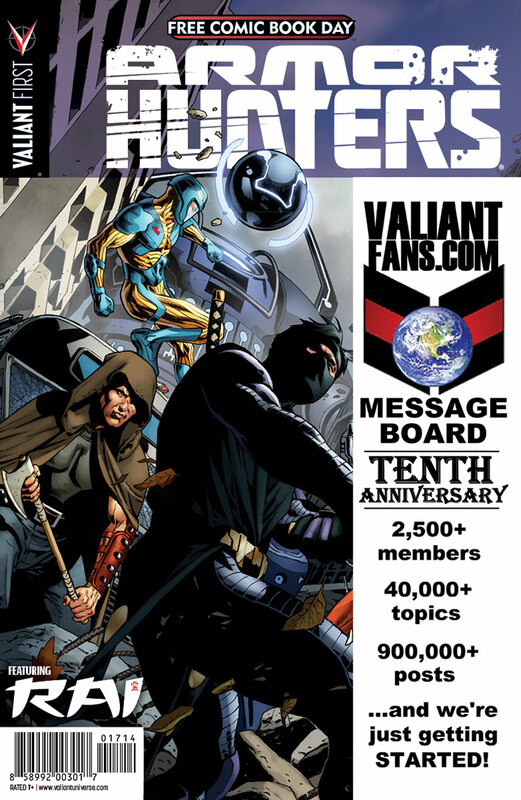 Everything you need to know about the Valiant Universe in 2014 and beyond can be found right here in the first official Valiant Handbook release…ever! 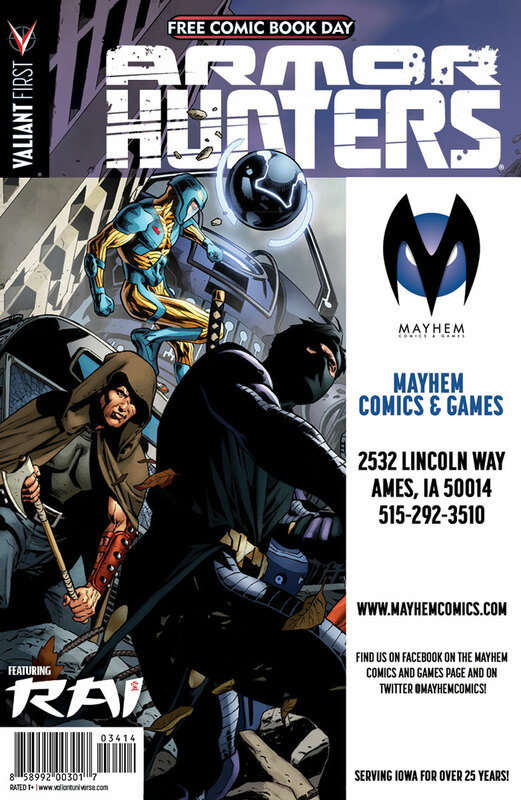 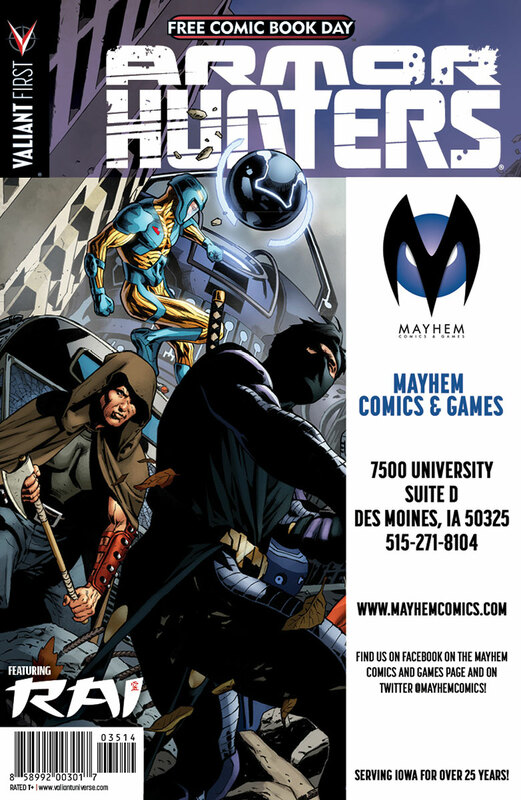 Featuring artwork from a “murderer’s row” of comic’s brightest talents – Doug Braithwaite, Clayton Crain,Clayton Henry, Bryan Hitch, Esad Ribic, and many, many more! For more information on Free Comic Book Day 2014, visit FreeComicBookDay.com.